The narrative of public relations, marketing and sales over the last five years is a shift to using new forms of media and devices to engage with customers and prospects in a two-way relationship. This is the move to so-called open business, or social business, where customers and prospects are no longer viewed as external audiences, but like staff and other stakeholders are embraced as integral to the organization. Organizational change is coming but it is slow. Stepping up to the challenge, a new report published by IBM, reports that a mere fifth of organizations have set up social networks to engage with customers. Even less have integrated customer interactions across different channels and are using analytics to mine customer data to improve decision making. 82% of chief marketing offices (CMOs) said that they feel under prepared to deal with the data explosion. In 2011 that numbers was 71%. This gap either indicates a worsening situation or greater awareness of the issues facing organizations. The good news is that digital modernization and the shift to open business firmly has senior level attention. IBM reports that marketing is second only to finance in wielding influence in the boardroom on the CEO and that senior executives with responsibility for marketing (CMO), and IT and information (CIO) are increasingly working together. The business rationale is compelling. According to IBM the organizations that are tackling these changes by aligning the brainpower and energy of senior executives are more likely to outperform peers by up to 76 per cent. IBM has identified three distinct profiles of CMO along the various stages of digital transformation. Traditionalists (37%) are just setting out. They’re challenged by social media, have yet to integrate offline and online systems, seldom engage with customers via social networks, and have yet to get to grips with the explosion in data and need for analytics. Social Strategists (33%) have passed the first few milestones. They’ve recognized social media’s potential for customer engagement but have yet to tackle data. Digital Pacesetters (30%) are much further down the road. They’re reasonably prepared for the data explosion and well placed to handle the increasingly heavy social and mobile traffic. These differences aren’t academic says IBM, correlating digital preparedness with financial performance. The plain fact is that Digital Pacesetters help their organizations grow. 43% of outperforming organizations identified by IBM study had a Digital Pacesetters leading marketing at board level, compared with 25% of Traditionalists. The second half of the report sets out a pragmatic guide to modernizing an organization around social and digital. It sets out a basic route map for organizations, namely using data analytics to get a much deeper understanding of customers and prospects, designing rewarding customer experiences, and capitalizing on new technologies to provide those experiences smartly and efficiently. The IBM report is further evidence, if any were needed, that public relations has a role in listening and engagement in every department within a modern organization. I keep returning to The Cluetrain Manifesto as my guide to the change that organizations face in tackling digital modernization. It’s an excellent primer. Published in 1999, Cluetrain taught us that markets are people and predicted many of the changes that we are seeing in organizational communication as markets and organizations become networked. The IBM report Stepping up to the challenge draws on interviews with more than 4,000 senior executives from Asia, Europe, Japan, North America, and South America, as part of its ongoing series of C-suite studies. 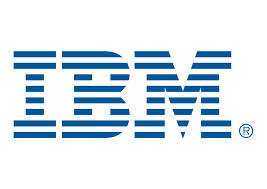 IBM is client of Ketchum, my employer, in several markets around the world. This post has also been published on Ketchum.com.